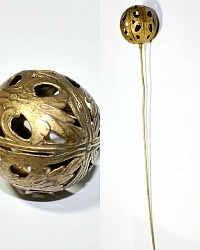 Beautiful Gilt Filigree Hair Ornament, or Hat Pin, dating to the mid 1800's. 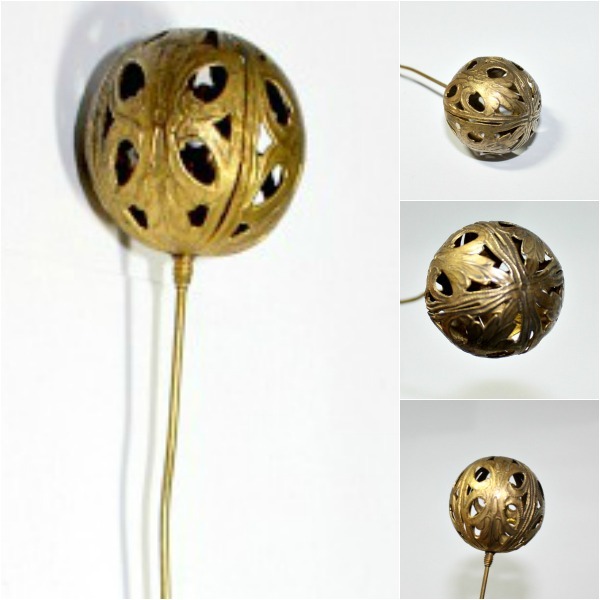 This decorative hair ornament was meant to be put through a chignon, or bun of hair. Unmarked, these were made in France & Great Britain and imported to the United States for the luxury market. A beautiful and rare addition to your collection of hat pins. Measures 9-1/2"' with the gold ball measuring 1-1/2" of that, 3/4" wide.